The Conference on Disarmament Agrees to Start Working: A Wake-up Call for ‘Sleeping Beauty’? The Geneva-based Conference on Disarmament (CD) recently decided to start substantive work after failing to adopt a programme of work for two decades. Is this the result of the adoption of the Treaty Prohibiting Nuclear Weapons and the attribution of the Nobel Peace Prize to the International Campaign to Ban Nuclear Weapons (ICAN)? Does this procedural decision imply more flexible positions on the part of some countries, including those possessing nuclear weapons? Is there any chance that the CD would commence serious negotiations about the items on its agenda? Expectations seem to remain modest in the Geneva disarmament community. We also call for implementation of well-known measures to reduce nuclear dangers and facilitate nuclear disarmament, including ending nuclear sharing, in which Belgium, Germany, Italy, Netherlands, and Turkey host US nuclear bombs, and ratification of the Comprehensive Nuclear Test Ban Treaty by hold-out states, including China, India, Pakistan, and the United States, to bring it into legal force. 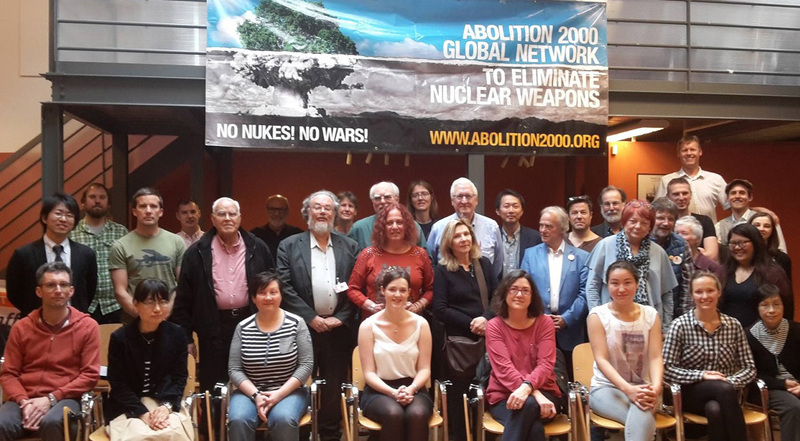 The abolition of nuclear weapons is a responsibility the present generation owes to the Hibakusha, the survivors of the 1945 atomic bombings, and to all past and future generations. Please find the letter as well as the list of signatories here. On January 29 2018, 16 US-Senators wrote an open letter to US-President Trump concerning the US-Nuclear Posture Review (NPR).